Surprise! We’re having another little nugget! If you’re new to Factual Fairytale, I have a Bicornuate Uterus and this is our third pregnancy. Our first pregnancy ended at 12 weeks and our second gave us our (almost) 2-year-old son. I’ve had complications in each of the three pregnancies but each has been completely unique. 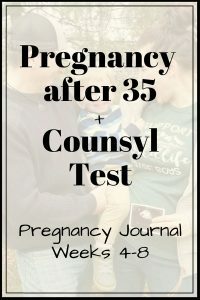 Because of the uniqueness of each pregnancy, I thought I would share my early pregnancy symptoms this time around compared to my previous pregnancies. It includes some cramping and spotting early pregnancy complications which are so scary, especially when you’ve had a previous miscarriage. 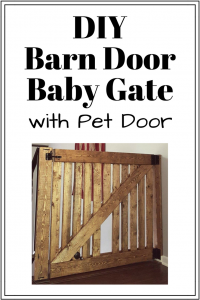 So, let me share my story and I hope you follow along on my pregnancy journal starting with pregnancy weeks 4-8! There were some pregnancy dead giveaways I completely missed when I was about 3 weeks pregnant. I had some major nausea while cooking raw hamburger and I couldn’t take a bite of a wild rice brat without wanting to vomit. It never occurred to me it was pregnancy related since it would have been so early, but that’s exactly what it was. My husband left on a business trip exactly 4 weeks after my last period and I was itching to take a test. It was a short trip so I tried my best to hold out until he got back but it was too much and I took a test at 4 weeks 3 days. It was very clearly positive! Yay! I shared the news over the phone and we were both over the moon excited. The food aversion to raw and cooking meat continued in my 4th week of pregnancy accompanied by nausea (but no vomiting). With both previous pregnancies, I had nausea early on so this was expected and “normal” for me. I called my OB to schedule my first appointments since my OB is amazing and very popular so she books out quickly. At just 4ish weeks pregnant they had me schedule my first couple lab appointments to check HCG levels, plus an early ultrasound appointment, and my first OB appointment. So, when you get your positive test, don’t wait to call your OB! My first OB appointment was at 5 weeks 3 days. I went in to have my first of two blood draws to test my HCG levels. They needed to be 48 hours apart and the HCG levels should double from the first to the second draw. I was feeling nauseous and tired at this point but in good spirits. That is until I got home from my appointment and had deep red spotting when I used the bathroom. I had spotting early pregnancy complications with both my previous pregnancies and it’s just as scary each time. With the first, it was very light pink spotting and only once at 6 weeks. Unfortunately, my doctor at the time was unconcerned and didn’t do any tests after to confirm everything was okay. Around 12 weeks, I went in for my first OB appointment and my doctor couldn’t find a heartbeat. She said it was nothing to worry about and scheduled me an ultrasound at a separate clinic at 13 weeks (the soonest I could get in). A few days before that appointment I started having cramping and more spotting. the day of my appointment the bleeding became heavy and our ultrasound appointment confirmed the pregnancy had stopped progressing at 6 weeks with my initial spotting. I had spotting during early pregnancy with my second as well. It happened 3 times and it was full blown period bleeding and large clots with little to no cramping. 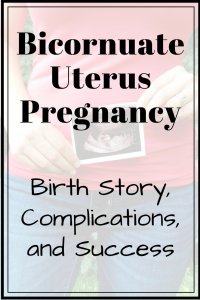 You can read more about that in my post about My Bicornuate Uterus Pregnancy Success. The first bleeding was around 7 weeks and I went in for an emergency ultrasound the same day. They found a heartbeat and everything looked good, other than the large amount of blood in my uterus. They called it a threatened miscarriage and told me to take it easy and call immediately with any other bleeding or concerns. This same thing happened 2 more times over the next month and each time we went in for an emergency ultrasound to find everything perfectly normal. It was the most stressful time of my life. Never have I been more terrified to go to the bathroom. This time, the spotting was deep red like my second pregnancy but it was a very small clot and spotting just once when I went to the bathroom, like my first. I also had some mild cramping but nothing. I called my doctor immediately and told them the situation. Since it was so early (only 5 weeks 3 days) and I had my second HCG appointment in 2 days, they said to monitor the bleeding and cramping and call if it continued or got worse. Luckily, the bleeding stopped and the cramping eased of the next day. It was terrifying and stressful and I called the nurse line twice to get more details on what they would be looking for at the HCG appointment. I was assured it would tell them what was going on and so I waited it out. My second HCG appointment showed my numbers had more than doubled which was great news and my OB was very confident everything was healthy and normal with this pregnancy. She said If I was still concerned I could schedule an ultrasound for 6 weeks and 3 days at the soonest. She stressed it was possible they wouldn’t find a heartbeat because it was too early and ask me to come back in a week to check again. Since my cramping and spotting during early pregnancy had stopped, and my nausea was in full force, I decided I’d rather hold out as long as possible to ensure the ultrasound provided some information. She agreed that was a good call and again reassured me that she wasn’t concerned and the HCG levels were a great sign. It was a relief and yet it didn’t take away the slight terror every time I used the bathroom. 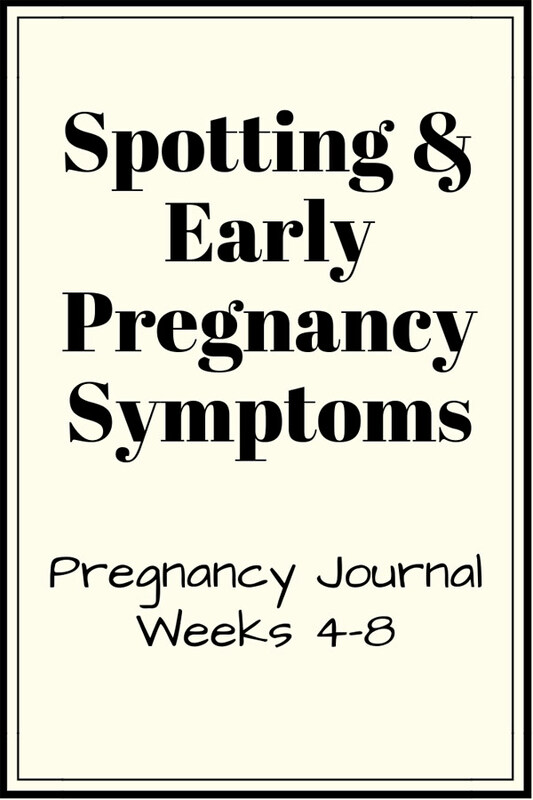 Pregnancy week 6 symptoms consisted of major fatigue and constant nausea. Again, this was nothing new but it was a good sign. With my first pregnancy, my symptoms stopped completely after the spotting during early pregnancy. As much as the nausea and fatigue weighed on me and kept me from really enjoying the holidays and life, it was a welcome reassurance that everything was progressing as it should. 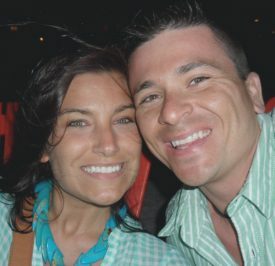 It was Thanksgiving week and we decided we didn’t want to lie to family or work to hide anything so we shared the good news with the understanding it was very early and we had already had some concerns. As expected, everyone was excited and supportive and we were glad we choose to share the news, even with an unknown outcome. Early in my 7th week of pregnancy, my nausea completely went away and my fatigue diminished as well. It was definitely concerning given our previous troubles. Everything I read online said symptoms could continue or stop for no reason or every reason. Basically, it was no indication of what was going on but never the less, it brought some worry. I was only a few days away from my ultrasound appointment, and I did have some breast tenderness, so I stuck it out and prayed for the best. At exactly 8 weeks pregnant I had my first ultrasound appointment. Because it was an early pregnancy ultrasound, it was transvaginal to ensure they could see and hear as much as possible. I explained my early bleeding and change in symptoms to the tech so she understood the anxious tension plastered all over our faces. Without wasting any time, she went in search for the heartbeat and there it was, clear as day and as strong as expected. Sweet relief. Everything looked great and healthy. She assured us that hearing a heartbeat in early pregnancy reduced your risk of miscarriage greatly and completely erased the spotting during early pregnancy concerns. It was an amazing day and I was glad we waited until we were sure to get a solid answer. Honestly, pregnancy isn’t my idea of fun. For me, all three pregnancies have been stressful and complicated from start to finish. Don’t get me wrong, its one million percent worth it, complications and all. Damn, what I wouldn’t give to be one of those glowing pregnant ladies with minimal symptoms and no complications, ya know?! But it could also always be worse and I try to keep things in perspective. 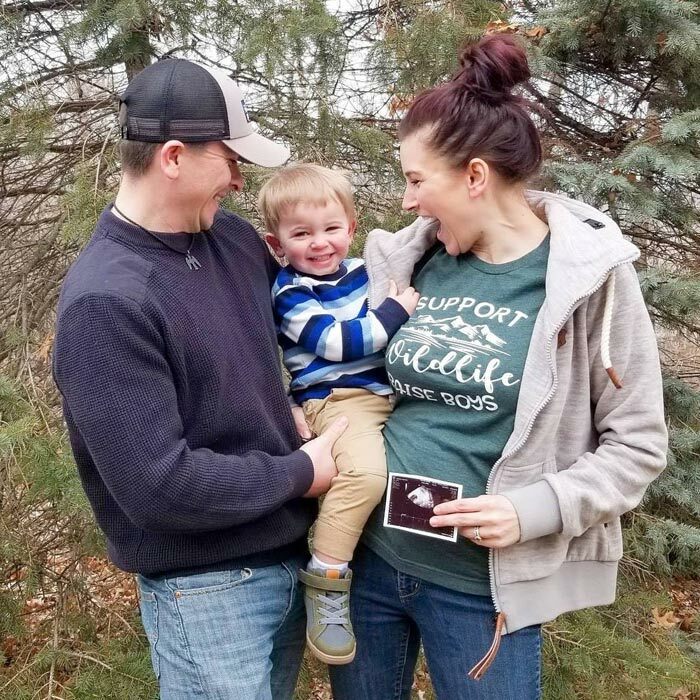 What my three very different pregnancies have given me is an opportunity to share my story in hopes it will help others going through something similar. You can read more about My Bicornuate Uterus Success and Complications and follow along on with my Pregnancy Journal this time around! Have a unique story? Share your early pregnancy symptoms in the comments below! This is my outlet for all things creative and informative (and sometimes just what's on my mind). As a new mom, wife, and creative woman, I spend a lot of time (my husband might say too much) on Amazon, Pinterest, Instagram, Facebook, and Google looking for tips, advice, design ideas, and everything else under the sun. Congratulations! I am due in July as well! 12 weeks on Wednesday for me. I have been spotting off and on since week 5. I have a bicornuate as well. I have finally been able to detect the heartbeat on the Doppler and it has been a lifesaver with having a miscarriage back in September I feel like I can breathe a little again. Hi Emily! Congratulations!! So excited for you! I know some doctors don’t recommend dopplers but honestly, I think they are a sanity saver! I have used mine a couple times this pregnancy at 13 and 15 weeks and it’s such a great piece of mind when you’ve had complications previously. Until you can feel those reassuring little kicks, it’s nice to not be worrying between OB visits.